If u got a outboard on a trailer say box then storing it on the side seems sensible. However a m8 of mine says this will bounce about and damage said outboard. Even if it's lashed down , says could damage it lashing down. He's going to build me a frame so it can stand up and the frame lashed..
Dont believe everything folks tell you Cumbria. 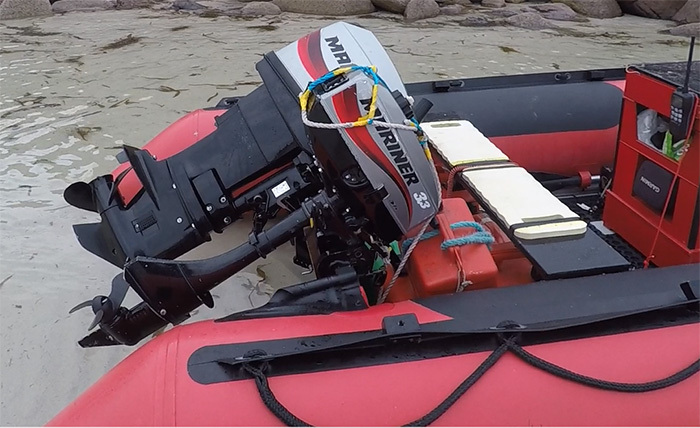 I have carried outboards lying flat in the boot of my car for more years than I care to recall and they still run perfectly and with no damage. In a box trailer it will be no different..just sit it on an old bit of carpet and the correct way up.. example tiller down if that is what your manual states for your engine. Ensure the head is slightly higher than the prop end too. Ensure you are running your new engine in as per manual as not following run in procedures will possibly do more damage. Trailer is a insuspension trailer so load needed on it to get a good suspension, it bounces a bit , more than car so bit consurned that outboard will move about... m8 looking to make me a fram for it to stand up and be lashed..
Blooming van electrics acting up , local insuspension dealer fitted tow bar on van 2 years ago, I have never used electrics only used as bike rack holder. When I rang them told me could not prioritise aand would look when the could find time at some point.... no way would I use this insuspension again. I've certainly seen small box trailers bouncing around a lot more than the tow car over pot holes and speed bumps. Probably empty or very little load though. If it was me I might be inclined to cut some heavy duty closed cell foam or expanded polyethlyene foam (the stuff that looks like polystyrene but won't snap) to hold the engine snuggly and stop it sliding around. Gurnard's old carpet probably does a similar job. If he's suggesting transporting it upright - I think you just create a load of centre-of-gravity issues. Could maybe fix a really low transom in the trailer and transport the motor in the fully tilted position, gearbox resting on the floor? It was simply suggesting the OB would get bounced and vibrated about as much if is upright or lying flat. I appreciate trailers bounce more than cars but I also appreciate having the OB fixed to a transom in a rough sea causes a great deal of bounce and vibration. Possible more so than even the smallest box trailer trip ? My aux engines are in the raised (laying flat) position in those circumstances while the main is vertical.. therefore I guess the OB are designed to withstand vibrations in both those positions. I totally agree with Poly..a 40Kg engine head stood vertical in a small Halfords box trailer is asking for trouble due to the high CG of a light trailer. On a much larger box trailer.. like the Conway trailer tent I used to own.. it would take it standing no problem. I used to pack that trailer tent with all our gear .. including dishes and jars of food..but because everything was packed correctly.. nothing broke. As such I would go with Jeff and Limecc suggestion to securely fix a stout bar across the small box trailer and clamp the OB to it so it cant move.. ensuring the gearbox is also secured to the floor. Far better keeping the weight low then a small box trailer wont risk overturn on a tight corner. Pad it with carpet or foam to protect it from other objects in the trailer that are not secured. No damage to either OB in these positions despite sea bounce of hundreds of hours. They have to be secured though regardless of vertical or horizontal.